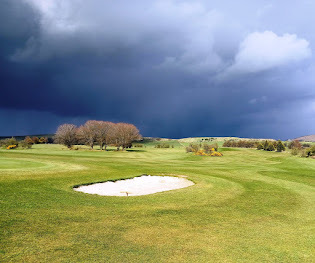 25/4/17 The Super Seniors had an excellent 4&1 win V Castlewarden today at Dublin Mountain, in bitter artic air and the odd hailstorm disrupting proceedings! The League Table to date sees Dublin Mountain 2nd +7.5pts & Clontarf on 8.5pts, Castlewarden 7pts,Slade Valley 6pts,Castle GC are on 5.5pts ( with a game in hand). ***********************************28/3/2017 Super Seniors lost to Slade Valley on Monday 27th of March 4 - 1,On a positive side another away point. Due to an error some flags were moved during the Saturday singles stableford, this meant that we did not satisfy the "competion conditions" i.e. that all competitors play to the same pin locations. The comp has since been changed to a Non Qualifier to comply with the rules of Golf,. the prize winners have been posted on Results wall. If any member has an issue with this decision, please do so in writing within 7 days addressed to the "Competition Committee". 1st Prize of €250: Brian Campbell wins with 200 points,Team: Sergio Garcia,Justin Rose & Thomas Pieters. Another 'nearly' display against Dun Laoghaire GC. Noel Murphy & Jim Graham won 2 up and Kevin & Hugh Behan recorded a1 up win. Gerry Brady & Brendan O'Connor were 2 down after 16 but could only half the 17th to go down 2 & 1 (so near .........). Ray Dunne & Eamonn Carroll lost 5 & 4 and Gerry Flood & John Lester lost 3 & 2. Thanks to the team for a brave display and thanks to those who put their names forward but were not selected. Looking forward to next year's campaign already!! Well done lads .... 3 ~ 2 Win Versus Tulfarris in the Barton Cup !!!!! At Home, Damian Byrne & Noel Murphy lost on the 14th to strong opposition. Eoin Boggans & Brian Cruise scraped a home win on the 21st hole. Away team: James Nolan & Colin Walsh won 5&3, Mick O'leary & John Morgan lost on 14th, Andy Foot & Tommy Dunne won 2&1. Next match V Blessington lakes on or before May7th. All Ireland Four ball team went down heroically 3-2 on the 21st hole of the final match involving Mick McKeown and Neville Morgan. Leo Mahon and John Reid won away and Hugh Behan & Tony Foran won on the 18th at home. Other home match involving Paul Best and Paul Duignan also went to the 18th. Dave O'Driscoll and Noel Quinn lost 3&2 away. A very close match which the team were unlucky to lose.